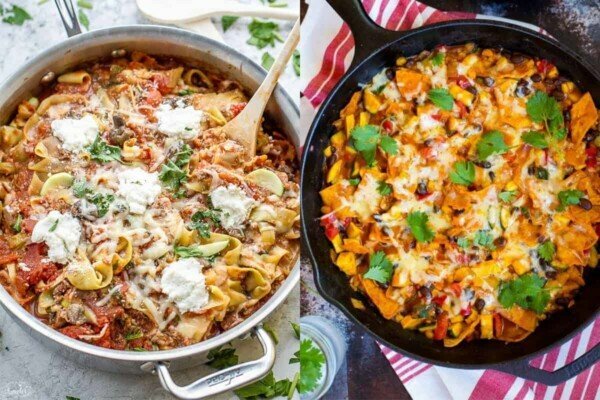 19+ healthy skillet dinners to get dinner on the table quickly and make clean up a breeze! 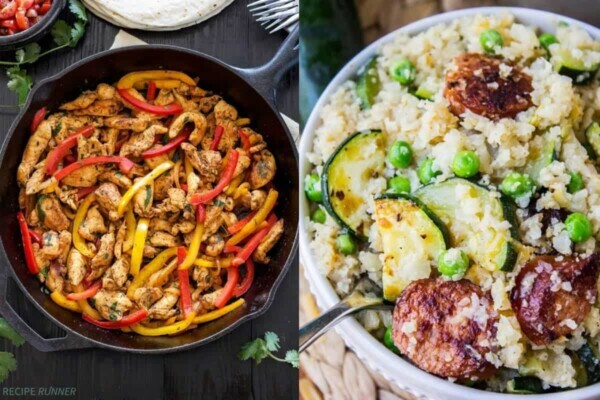 These skillet recipes are made on the stove top so you don’t need to turn on your oven. 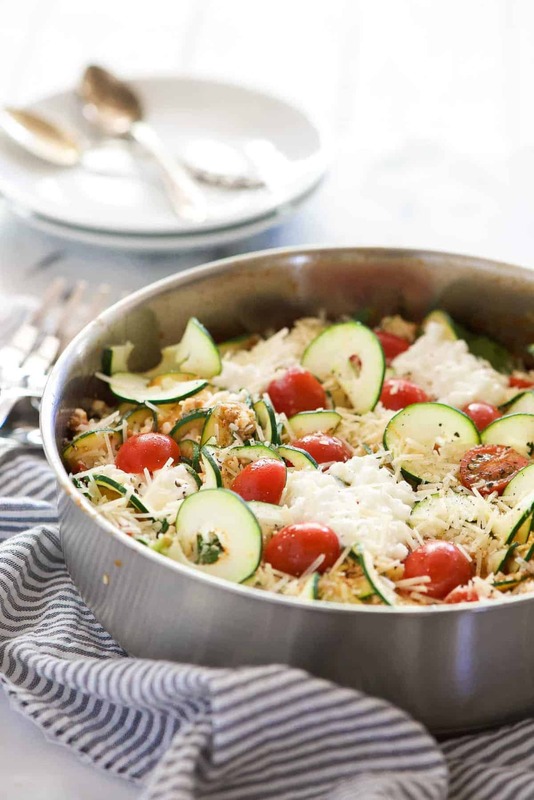 Today we’re talking healthy skillet dinners. 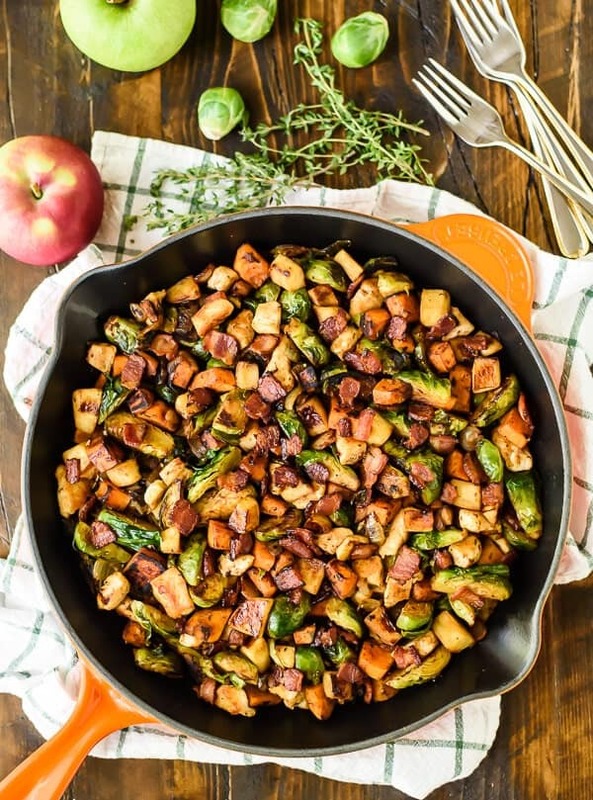 Nothing beats a cast iron skillet or stainless steel skillet for getting dinner on the table quickly. Not only do they get perfectly seared meat, but they make for super easy clean up, too! 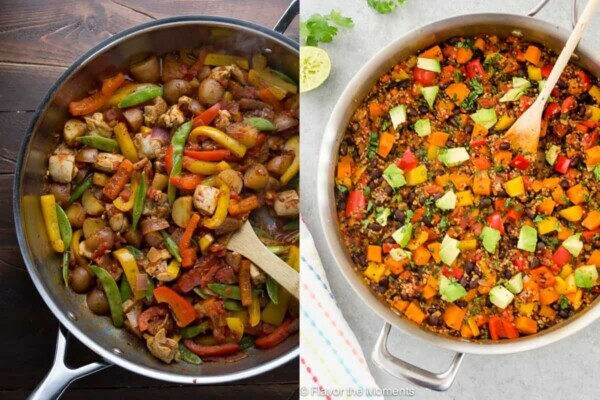 These recipes are all made in a skillet on the stove top, so you don’t need to turn on your oven. Perfect any time of year, but especially in the summer when you want to keep your house cool. 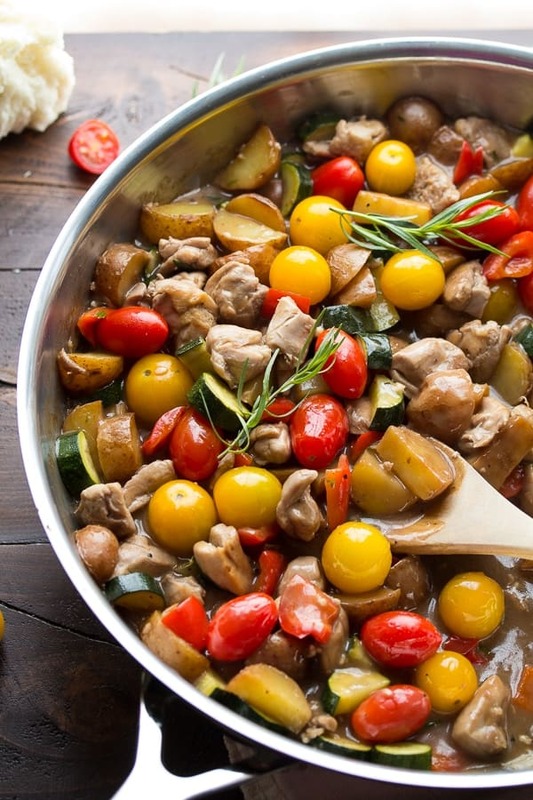 Unlike my previous one pot recipe round-ups, this one does not contain any pasta recipes. 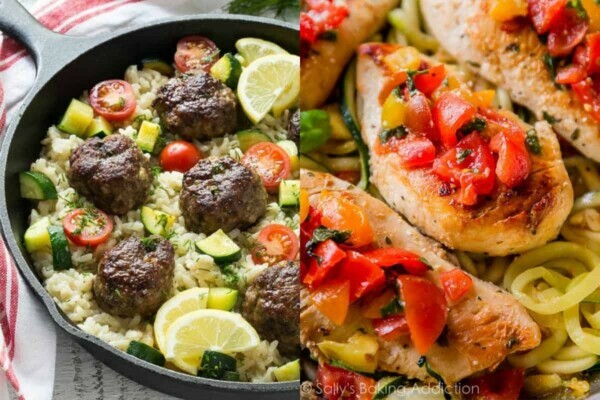 So are you ready to check out these easy and healthy skillet dinners? Let’s go! Thanks for sharing this! Great way to stay healthy and easy to follow through with! I love all of these recipes! 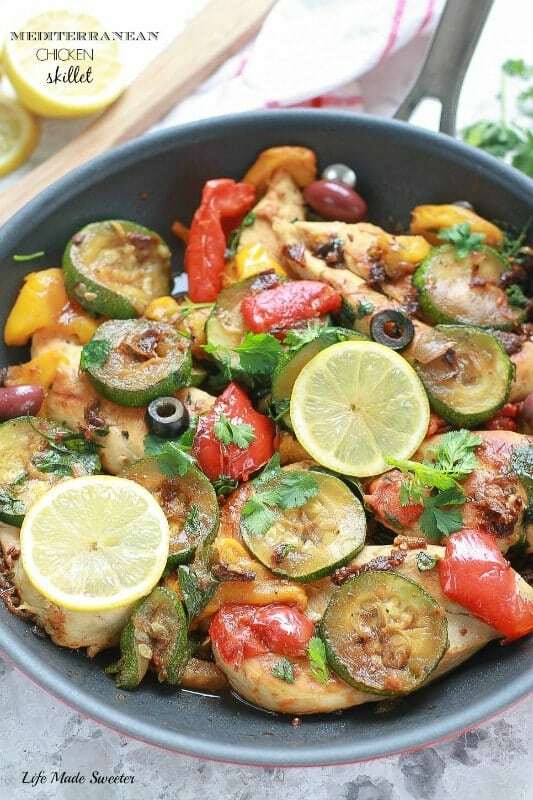 I’m always looking for easy one dish meals for weeknights. 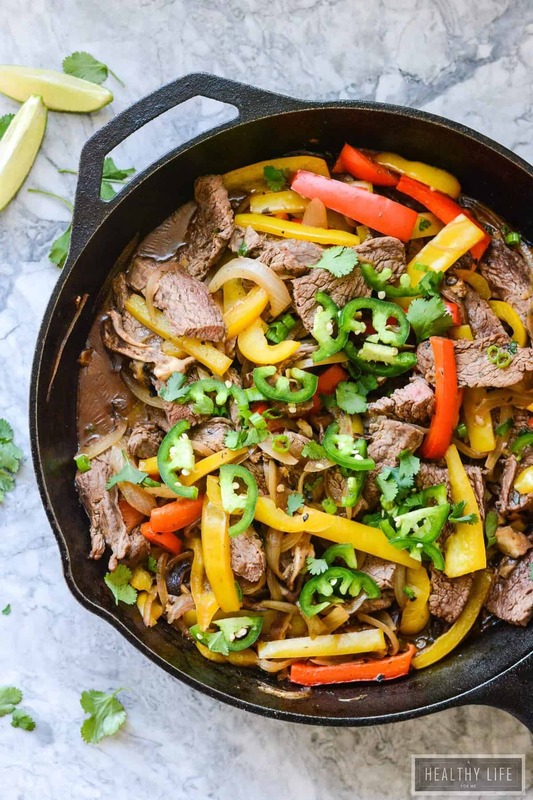 Question: on the beef skillet fajita recipe, there are no measurements for the cumin, paprika, and black pepper. I know cumin and black pepper can easily overpower a dish, so I’m hesitant to just wing it. What did you start with? Hi Melissa! That recipe is actually from the blogger A Healthy Life For Me…you are right, there are question marks for the measurements. I would send her an e-mail or leave a comment on that post and hopefully she can help you out with that! Aww send some of your hot weather my way 😉 Thanks Ashley! 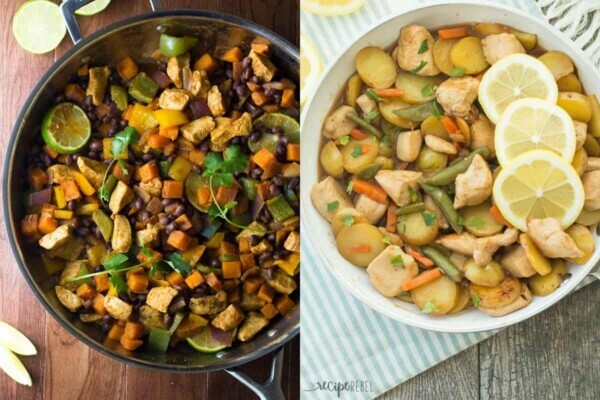 I love skillet meals, and this round up is full of great recipes that I can’t wait to try! 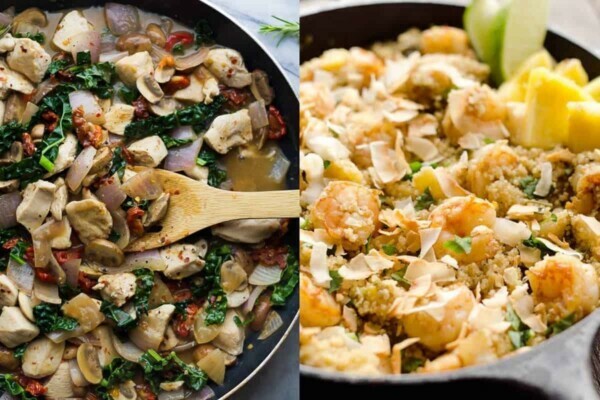 Thanks for including my mexican quinoa skillet, Denise! No problem Marcie, can’t wait to try it! Right?? I think that’s my favorite. It looks so delish! Thanks April! 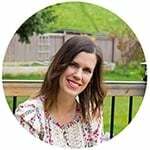 Wow thanks for sharing this, there are lots of new recipes to try from your list. Denise, thank you so much for the link love! I LOVE a good skillet dinner!!! this round-up is fabulous! Anytime Alice! 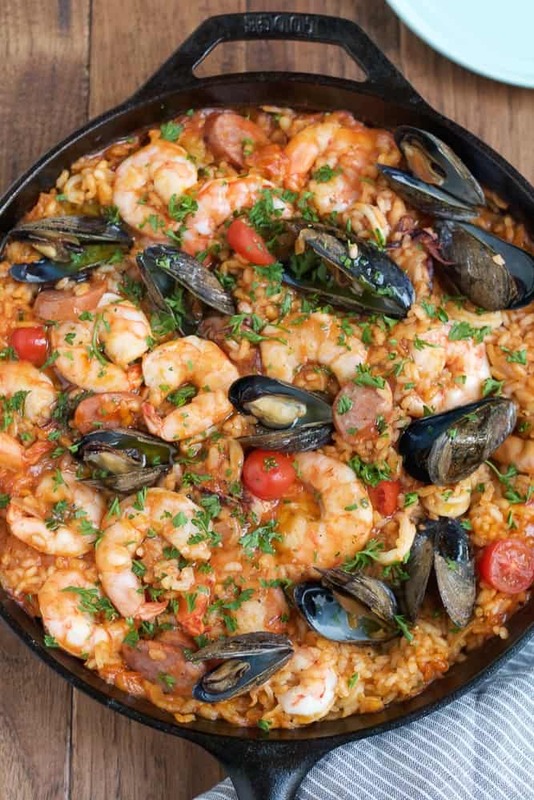 I love paella but have never used a stove-top recipe. Can’t wait to try!